In our lives there are profound amount of ignorances, but here we focus mostly on the Costs Of Ignorances on what the math poverty can do both positively or negatively if the math poverty persists. We will update on MMU1 and 3 COIs here, but for now we would like to share the 5 page Executive Summary on MMU1 as a prelude to 3 COIs series. The math poverty is far worse than most people, including the most knowledgeable people on earth are aware of. The costs of math poverty is far far far greater than the worst natural disasters, financial crises, wars, and everything else that you can possibly imagine. 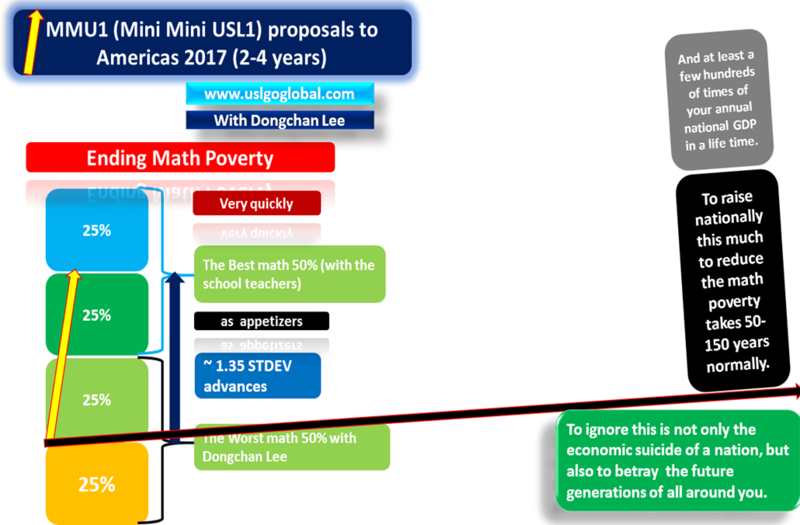 Lee will update the more detailed information in this web page of the USL, MMU1 website.